Lastikman was created by Mars Ravelo. This is another of Mars Ravelo’s creations that dates back decades, in this case to 1964. There are more recent versions including a 1 shot comic another movie and a TV series ; but this is based on the 2004 Lastikman movie (from the DVD with English subtitles). The Unang Banat does have some differences from other more traditional versions, particularly within his origin. Known Relatives: Pablo (Father, deceased), Butil (younger brother), Garoy (older brother). Group Affiliation: None (Isang Lakas in some takes of the character). Base Of Operations: Manila and nearby provinces. 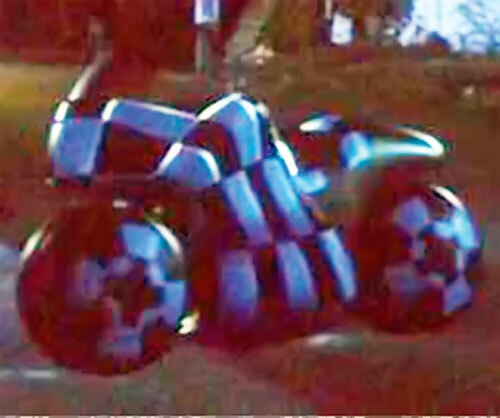 Lastikman was given the ability to mimic the form and elasticity of rubber. He can stretch and reshape his body in any way he desires. 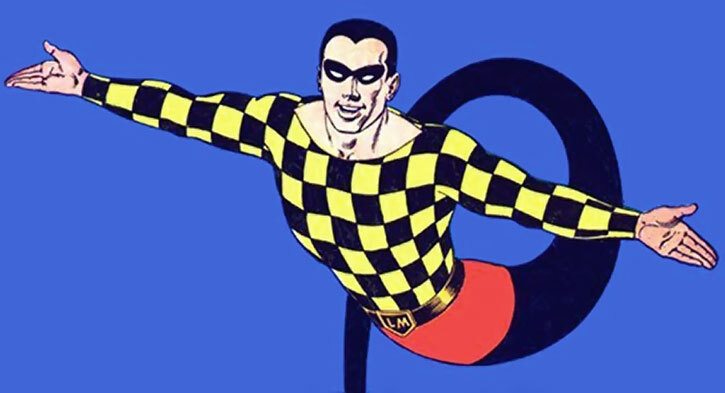 While he usually retains the checkered colors of his costume in whatever shape he takes, he can change from his costumed incarnation into his normal human self with any clothes at will, and apparently could look like anyone he desires. Adrian Rosales was born to humble origins in a small barrio (rural neighborhood) in the provinces outside Manila. His father was a drunk working on a fruit and rubber plantation. While Adrian seemed content with this simple life, his father perceived this contentedness as laziness. His father constantly berated his lack of ambition, saying he wasn’t as strong as one brother or as smart as the other and would never amount to anything. This constant barrage on Adrian’s ego generated self-doubts which plagued Adrian. He lacked any real skills for a future and couldn’t bring himself to admit his love for his best friend, Lara Manuel. Then one evening Adrian encountered some illegal loggers trying to cut down the oldest trees on the plantation. Full of heroic dreams, Adrian rose to the occasion and tried to stop the loggers, by challenging them to fight. He quickly realized that not only was he outnumbered, but he was severely physically outmatched. He tried to run away. Unfortunately for him, the loggers easily overwhelmed him and gave him the beating of his life, leaving him for dead under a rubber tree. Luck was with Adrian, however, when at that moment a shooting star hit the tree, animating it and giving it seemingly mystical powers. The tree, apparently thankful for Adrian’s attempts as defense, picked Adrian up and covered him in sap. The tree shared a portion of its own essence through the sap and allowed Adrian to quickly heal his injuries, waking unharmed the next morning. 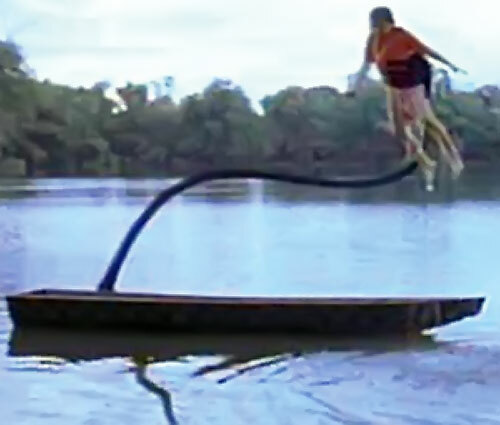 Adrian soon discovered the tree also passed on special abilities which made his body stronger and gave him the elasticity and flexibility of rubber. 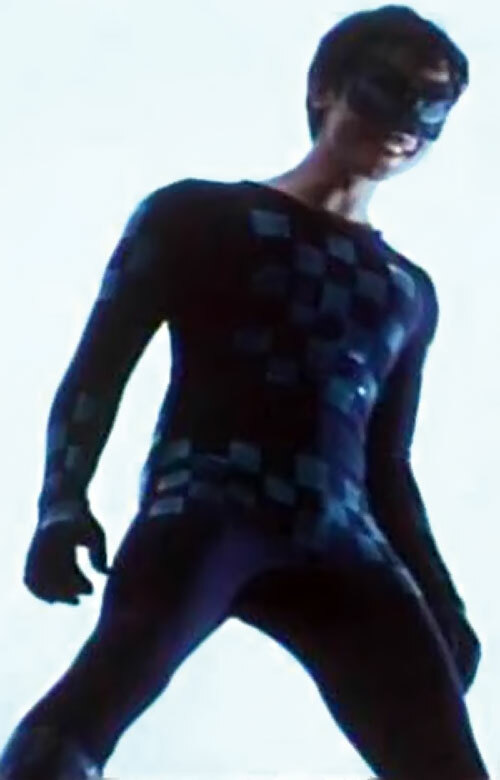 With his newfound powers, Adrian took the identity of Lastikman! This is a job for Lastikman! He began taking on bullies in whatever form they took, fighting for those who couldn’t fight for themselves. 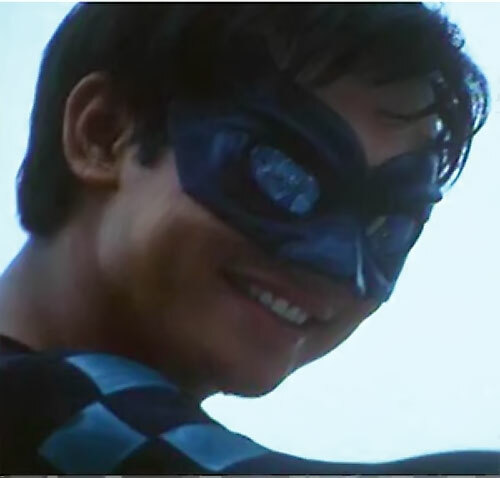 Lastikman became well known in the barrio, and even in Manila, as a true hero! Feeling empowered for the first time in his life, Adrian began to admit his feelings to Lara, even going so far as confessing his secret identity. 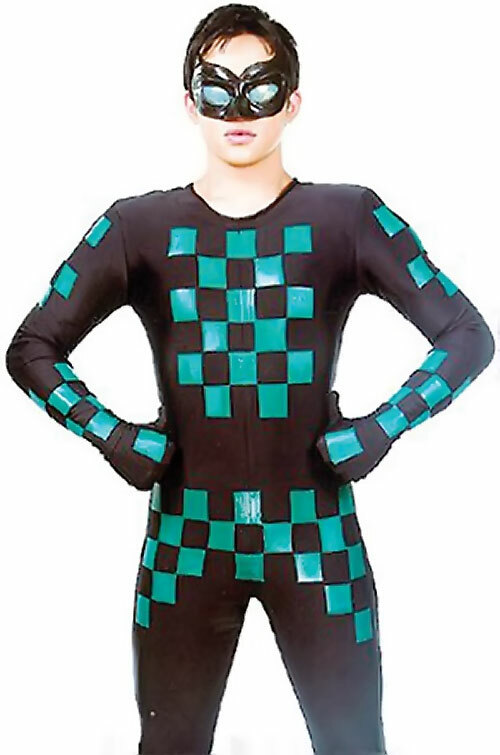 She didn’t believe him, since she had a crush on the green and black checkered hero. Even his own father didn’t believe his own eyes during a drunken stupor when he saw Lastikman transform into Adrian after a night of crime-fighting. Chalking it up to an alcoholic delusion, he decided to give up drinking. To start over, the family decided to move to Manila after discovering Lara was moving there to study. Lastikman’s adventures soon bring him into conflict with other powered beings. He encountered a werewolf, Taong Aso (literally man-dog), who had been on a cannibalistic killing spree across Manila. Taong Aso was attacking Lara’s cousin, Marites, when Lastikman intervened. In a desperate conflict, it seemed Taong Aso would be the victor due to his sheer strength under the light of the full moon. However, another arm stretched out and yanked him into a pile of wood, driving a piece through his chest with lethal force. Thinking Lastikman had struck the blow and grievously wounded, Taong Aso ran away. 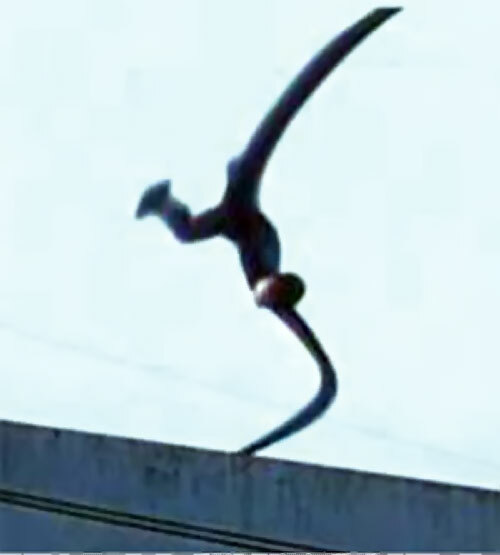 Lastikman discovered a woman who called herself Lastika had saved him. But they argued over the necessity of lethal force. Adrian had promised himself (and the tree) that he would only use his powers to help people. Lastika revealed that she had been created in much the same way as Lastikman. She and her daughters were attacked by an angry mob who had believed they were witches. After killing her daughters, they left her for dead under the same tree. She saved Lastikman to ask him to join her on her quest for vengeance. She believed with their combined powers, they could take over the country or even the world. After a moralistic debate, Lastikman refused and Lastika escaped into the night. Meanwhile, the monstrous Taong Aso managed to get home and told his son of his fight with Lastikman. His son was one Reden. Coincidentally, Reden was Adrian’s boss at the coffee shop he has worked at since coming to Manila. Reden had initially resisted hurting people as a predator despite his father’s insistence that humans were merely food. The next full moon, however, his father ignored his wound and went out to hunt. He sought easy prey in the form of a young girl. However, while he was slaying the girl, her cries attracted an angry mob which went after Taong Aso. In his weakened state, he could not defend himself and was slain. Blaming Lastikman for his father’s demise, Reden secretly followed the rubbery wonder until he spied him transforming into Adrian. He determined that since his father was taken from him, he would even the score by killing Adrian’s father. Ambushed by the bestial version of Reden, Adrian’s father managed to survive the initial attack with the timely intervention of Lastikman. 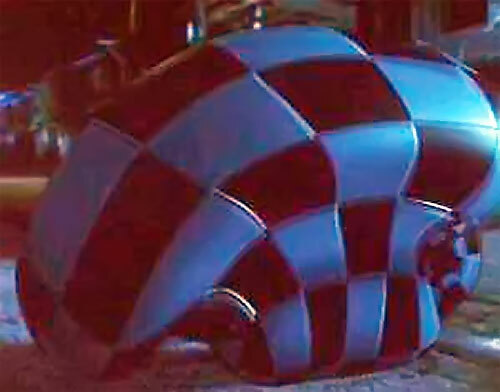 Unfortunately, although the beast was driven away, Adrian’s father was mortally wounded and rushed to the hospital in a coma. Adrian maintained a vigil at the father’s bedside, despite the crimes being committed by Lastika trying to call him out. Adrian’s brothers blamed him for not being there since he couldn’t be found as they and Lastikman rushed their father to the hospital. Lastika even goes so far as to impersonate Lastikman by assuming his form and robbing a bank. As Adrian is commenting to himself that he’d never do something like that, his brothers begin to harangue him when his father awakens. He tells Adrian that he should go do what he has to and that people are relying on him (having realized that his drunken vision was not a hallucination after all). He tells Adrian how proud he is of him, and of all his boys. 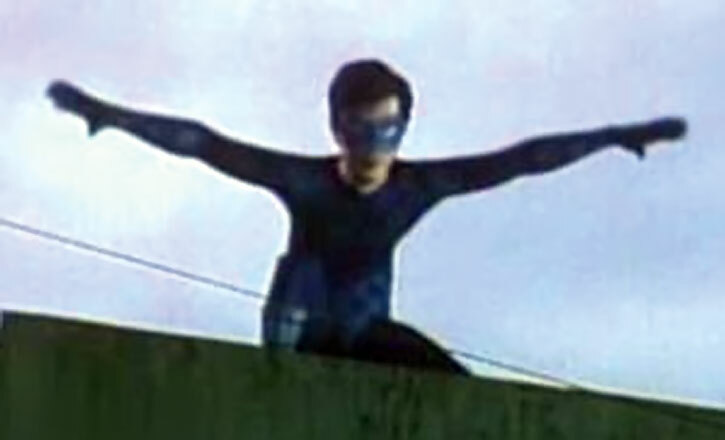 As his father lay dying, Lastikman rushed off to face Lastika in a final shape-shifting showdown. Lastika gained the upper hand through sheer viciousness and a willingness to endanger bystanders. But as she seemed ready to strike a final blow, Lastikman noticed her standing in a pool of alcohol and/or oil. He desperately reached for an electrical box as a weapon, drawing mocking jibes from Lastika. As rubber is insulated against electricity, so are they. But the sparks from the electrical box like the liquid on fire and Lastika melts in wicked witch fashion with a final desperate gasp. 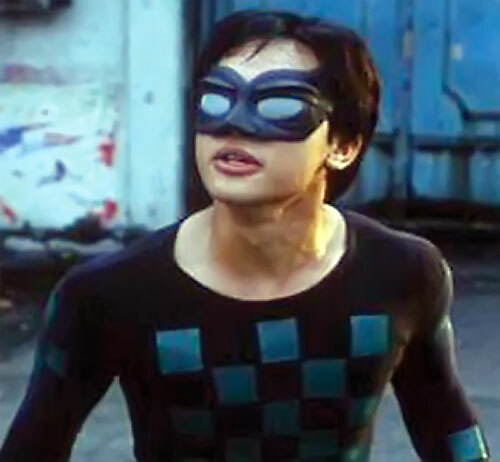 While Lastikman can choose to look like anything in his imagination, he usually has a green and black checkered costume and a mask with somewhat pointed nose. This color scheme is compulsively included in any form he assumes. Lastikman is basically a teen who greatly enjoys his powers. He loves to catch bad guys and to protect those who can’t protect themselves. He certainly feels the responsibility of the powers he has been granted, and has his angst ridden moments where his choice to become a hero weighs on him. However, he sees his powers mainly as a blessing and opportunity to make a real difference. He relishes the opportunity to prove himself to the world. Lastikman was given his powers by an animate tree while he was on the verge of death (or perhaps even dead). Thus, he could easily come into contact with Swamp Thing through use of his powers creating a resonance within the Green that pulls Swamp Thing to him sometime when the mighty green goliath needs to create a new body. In trying to understand what has happened to him, Lastikman seeks out Reed Richards, only to find that he is away from the planet dealing with some cosmic crisis. Naturally, it’s then that Galactus returns to Earth to have a meal, confident in the fact there’s no one on the planet with Reed’s mental capabilities ready to use the ultimate nullifier with him. Sue and Ben convince Lastikman to take on Reed’s identity for a while, forcing him to face down Galactus. In time he must face Doom whose current plans would thwart Reed’s predicted stratagems, but somehow seem to fall prey to Lastikman’s erratic plans and behavior. This version of Lastikman could be used as the more traditional one’s sidekick. Just rename him Lastikboy or Lastiklalaki. If you decide to do this, have a portion of Lastikman’s ship be the “shooting star” that hits the tree which in turn imbues Adrian with his powers. Of course, you could simply use him as-is and drop him into just about any superhero universe, if you’re looking to populate Asia with superheroes. Source of Character: Lastikman: Unang Banat (a pun that can mean First Strike or First Stretch) movie starring Mark Bautista as Lastikman. Helper(s): Lorie Vallejo (for translation help), pinoysuperheroesuniverse and internationalhero for notes on other versions of the character. Write up completed on the 31st day of August in the year 2011 by the Gregorian reckoning.